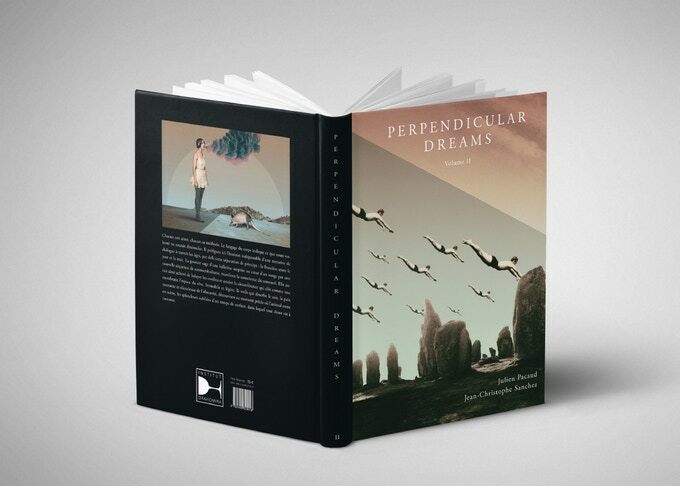 After his first tome, Julien Pacaud continues his serie of art books and returns with a second volume untitled “Perpendicular Dreams, Volume 2“. 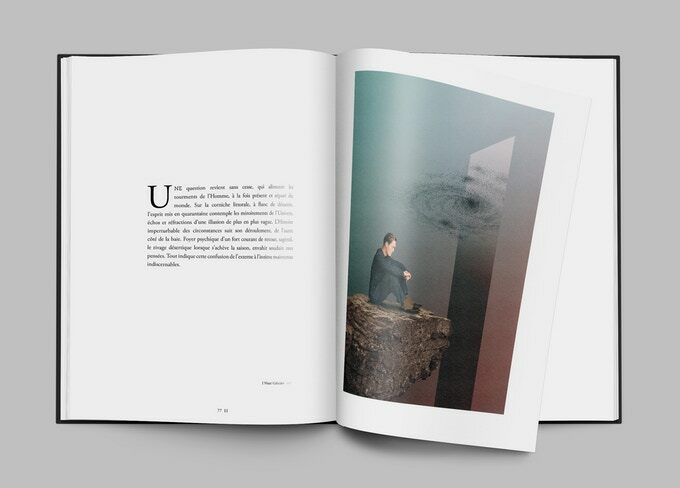 … A real invitation to travel in parallel universes where galaxies, mountains and protagonists are mixing ; the whole thing relating the great human mysteries like Life, Time, the feelings, the illusions or the cosmos. Stunning ! 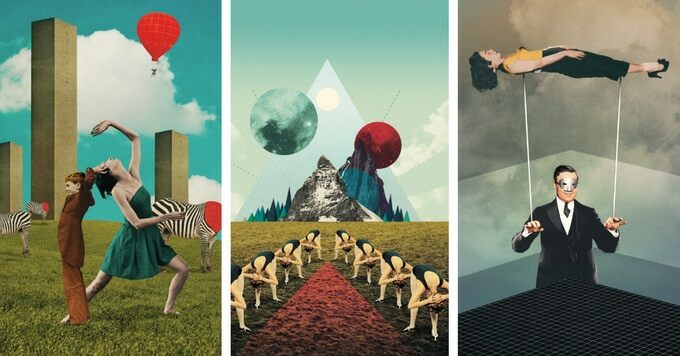 Julien Pacaud is an illustrator and has been practicing digital collage since 2002. 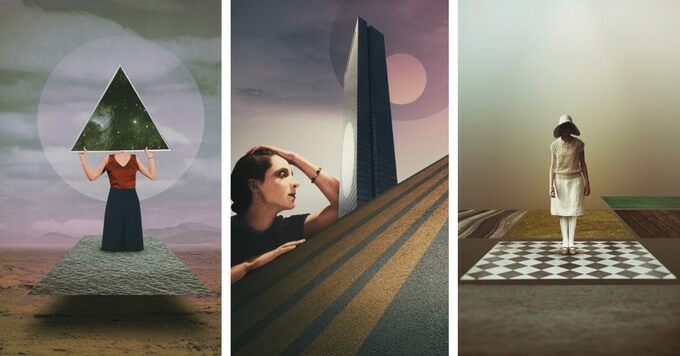 Working on commission for many clients in the press, music or advertising, he is introducing a more personal creative work that is presented in his serie Perpendicular Dreams. 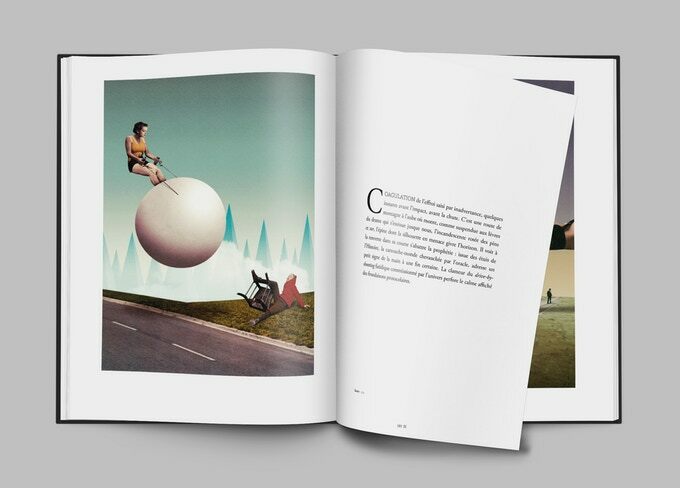 It is by accompanying his visual creations by poetic words that he had the idea to call on his friend Jean-Christophe Sanchez, painter, writer and film director, to realize his books. It is through a first crowdfunding campaign that the first opus was born in 2018. A new campaign is now available for the second volume. The purpose is to collect the amount needed to print 500 copies. You still have to be patient to browse it with your eyes and your hands !